Technology makes information sharing easy, but what we really want is to experience the full richness of remote environments including body language and emotions. Being freed from today's single, fixed view of the world and being able to experience anywhere ... anywhere. We call it MirrorSys. For M2M, the future lies in real-time services. Learn what else Tony Guerion of Vodafone has to say about Open ROADS, including his hopes to interface with any type of environment. 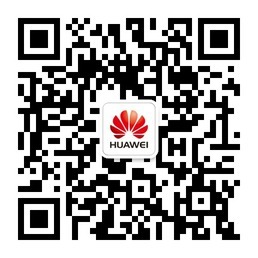 Fifth-generation mobile technology (5G) will become critical infrastructure in a super-connected world, Ken Hu, Huawei's Deputy Chairman and Rotating CEO, said in a keynote at MWC 2015, emphasizing that the 5G vision can be realized only through open cross-industry collaboration, intensive technological innovation, and evolutionary commercialization strategies. Openness, security, and agility are the core concepts behind Huawei's hybrid cloud solution. Only by being open, secure, and agile, can a hybrid cloud bring the maximal benefits to enterprise customers, help telecom carriers seize strategic opportunities arising from public cloud development, as well as increase carriers' end-user stickiness. Open, secure, agile hybrid clouds will become the mainstream development mode in the future ICT industry. Amy Ahn from Korea Telecom Corporation believes that the technologies and resources are already in place to make Virtual Reality-inspired experiences possible. In Digital Economy Era, Huawei software are committed to become the best partner for carriers during digital transformation.The new released Digital inCloud solution combined open service platform, inTouch partner alliance and business operation assistance as one stop service for carriers. At Huawei Pre-MWC media and analysts briefing in London, Mr. Steven Hartley, the practice leader of service provider & market from Ovum share his insights on the business enabling transformation to Total Telecom. This is a symphony of Video, also a movement of era. As the development of networks and devices, Video is becoming the next basic service, operators should lead the trends of Video Era. Huawei is going to meet the golden Video Era by playing the spectacular chapter with operators. Nowadays everything is going to be connected and along with the 4K & 4G technology, everyone could be a video content source. People are expecting better video experience with any screen, anywhere anytime. The operators will meet new challenges but at the same time big opportunities. 4K Video is a hot topic in the video industry. It will certainly bring extreme video experience to end user but at the same time it will be a big challenge to the operators. Check out Huawei 4K experts' ideas about how operators could achieve success in 4K video service. OceanStor OS is Huawei's brand-new storage operating system. While inheriting the consistent high stability, reliability, and performance from Huawei's previous storage products, OceanStor OS abounds in new converged storage features. Specifically, the new storage operating system achieves "five convergences" to lift storage convergence to a higher level. At MWC 2015, Huawei Global Services will show you how you could benefit from our SmartCare CEM, build a quality brand MBB, and connect up business and operations through Managed Services.We will explore Telco business objectives & challenges with virtualizing, cloudifying, and digitizing their IT and Business Operations, while also addressing the critical "how to" actions that will help you get there. We'll conduct senior executive roundtable discussions to explore how Telcos best achieve their IT transformation goals.